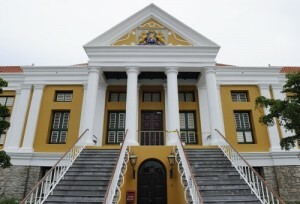 WILLEMSTAD - The new government consisting of the political parties MAN, PAR, PNP and PS, want to see whether the duration of the criminal record can be shortened. In this way, they want to increase employment opportunities for young people who have started down the wrong path. The record is now valid for five years. According to sources within the government formation process, these plans are included in the draft coalition agreement. The PNP party will be responsible for the ministerial post of justice. The party already indicated that they will appoint the popular lawyer Kid Martina as the new Minister of Justice.